Can nomenclature make a difference to house buying? Drive down the road and take a close second look at the apartments and their names. Easdale Apartments, Cedar House, Sanskriti, Marigold Manor, Prakriti, Temple Bells, Pleasanton Villa… House names aren’t what they used to be. Gone are the days when houses reflected the physical surrounding (Primrose Garden, Bougainvillea or Oak Avenue) , grandeur (Mansfield Mansion/ Hilltop Castle) or a Family or Location Name (Patiala House to Thotumkal Villa). Today, it is all about sounding fancy , casual and informal unless it involves buyers following a prescribed agenda specified by Vaasthu or numerology. How else would you explain a name like Graceland Apartments near the zoo, Pleasant Valley Homes near the bus terminus and Vandana Niketan near a five star hotel? A random research by a college student on house names revealed that a suffix like ‘Villa’, ‘Crest’, Manor’, ‘Cottage’, ‘Avenue’ and ‘Casa’, not to forget the really unrelated ‘Lodge’ brought in a lot of enquiries. Think about it and you can come up with quite a few of them on your own-Green ‘Park’, Woodland ‘House’, Sea ‘View’ or Green ‘Meadows.’ Not to leave the animals and birds behind we have ‘Dolphin’s’ Point and ‘Eagle’ House. The fancy street names and even house numbers need a mention here- ‘45 Post Office Lane’ or the rare exotica entrant- Wonderland to Neverland. 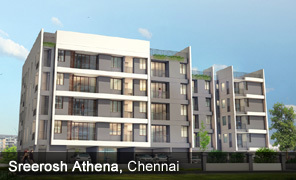 In Chennai, you often find names based on numerology or Sanskrit derived coexist with the fancy and quirky. So, you find ‘Aashirvad Apartments’, ‘KrishnaKutir’ and ‘Sanskriti’ coexist with ‘Windmere’, ‘Windsor’ and a simple ‘Nivas’. You have some foreign language entries like ‘Villa Española’, ‘Santorini’ and some Greek and Egyptian residences too. Buildings named after Gods, prayer phrases to simple adjectives like ‘Happy’ and plenty in between… one could go on. 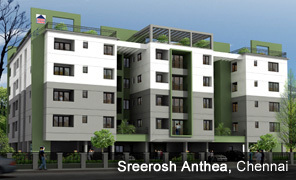 Sreerosh Properties has quite a range when it comes to names – Sreerosh Athena, Sreerosh Anthea, Sreerosh Green Acres or Sreerosh Harmony. What’s more, each of them live up to their name and offer all that’s promised- harmony, happiness and home. 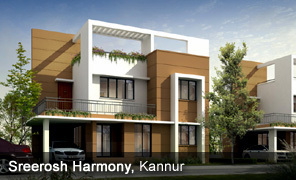 A house with a name is so timeless, civilized, warm, cozy, regal and wonderful or all of the above isn’t it? Do share your experiences with us. And don’t forget to tell us what you think about this article and share your comments. Buying a house? Pay attention to these little big things. Thank you Manoj. Appreciate your feedback. 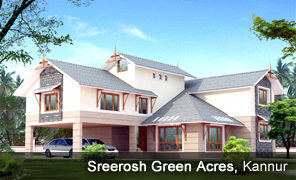 We will be happy if you can share it and like our page Sreerosh Properties on Facebook.